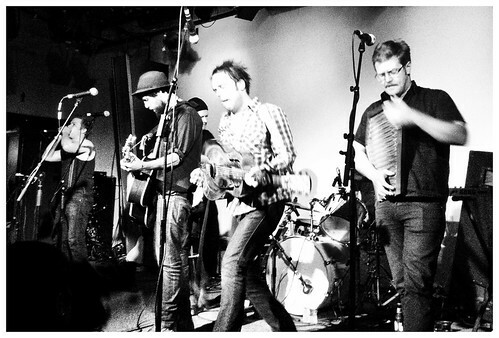 I went out the other night to see this band – Graveyard Train. A band of seven blokes singing about death. It was the first night of their Australian tour to launch their new album. I’ve now got their first and second album and they’re both brilliant. When we got the first album we played it in the car and I was ‘allowed’ to turn it up so we could both sing along. Usually my son pleads with me to turn the music down. Isn’t it supposed to be the other way around? Hailing from Melbourne I’ve been very lucky to see them twice this year. Once at Barrio (Adelaide Festival), then again the other night. As you can see I was nice and close and when they finished their set I could have stood there to watch it all over again. Often when I see a band, even though I’ve enjoyed it, I’m glad for a rest at the end. Not so with these guys. There’s a guy (at the end playing the harmonica in this shot) whose usual musical instrument is chains around his neck and a hammer. I wonder how they explain that at customs if the need ever arises. I’ve never seen a band playing chains. The other thing I love about them is that they all sing (except for the drummer I think) and when they do it’s just magic. This is the type of boy band I really dig! As I try to sort out playlists on that iToy contraption of mine I’ve been creating a favourites list. Last Wednesday saw me dancing around the kitchen to some of it. Sometimes JJ and I will crank up the music’s volume and have a dance together and occasionally I’ll do it myself. It makes me feel really good, and it’s good exercise. Here’s a few of those tunes (if viewing this via RSS and can’t see the clips below click through to the site). I’ll bet you have trouble staying still when listening to/watching this clip. Ed Kuepper is a favourite musician of mine. I haven’t seen him recently but saw him years ago at a local university with the Hoodoo Gurus. Listen to the lyrics – love em. Yet another cover version of an older song and I really like how it’s been done. 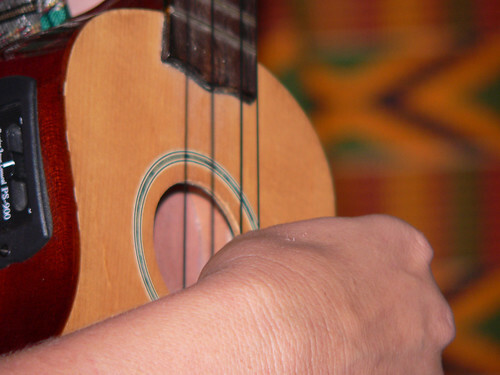 This is a great one to sing along to as well – if you’re into that sort of thing. I might be! It takes nearly a minute before the song actually starts and it’s a live version, but it’s a great song – a Cramps cover. It’s also somewhat slower than the music above. I saw Nouvelle Vague a year and a half ago at the Adelaide Cabaret Festival and I thoroughly recommend them. They were great. I know I asked above, but I’m asking again. What song/s make you feel great? 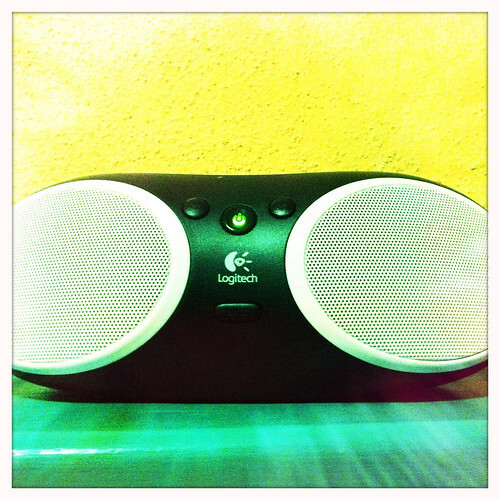 Tuesday, 20 September 2011, Day 301/365. I have to admit that when I take JJ out to an adult thing he’s usually pretty good. I mostly let him take his DS just incase he needs to entertain himself but he doesn’t always use it. I do get the “I’m bored”, “I want to go home” whines sometimes but usually he’s excellent. Last Tuesday we went to a friend’s going away and as it was an evening thing I only planned to stay for a little while so I could get him home to bed at a reasonable hour. If I didn’t take him it would mean not going, or organising childcare for a few hours which is probably more disruptive sometimes. He knew most of my friends who were there so was able to chat to them. 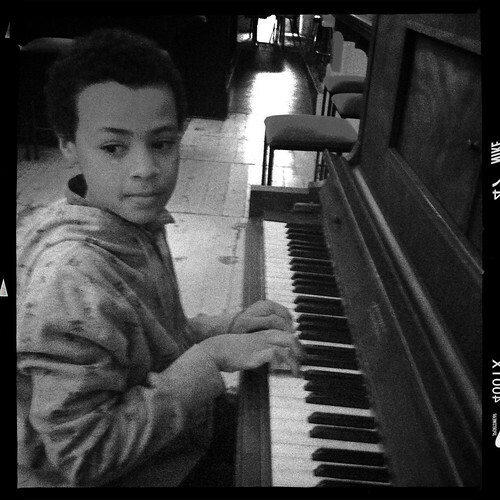 There was a piano at this place and as I’ve shared before, he’s been learning piano. After we’d been there for about an hour he asked me if he could play the piano. I said to ask the owner and she said it was fine so off he went. The piano was upstairs and most of us were downstairs. As I said he’s only been learning the piano for a few weeks but he’s got a couple of tunes he’s memorised and a friend showed him an easy one which he’s since played every day. It was great to see him do this of his own accord and get off the hand-held game. And he enjoyed himself. Friday, 9 September 2011, Day 290/365. 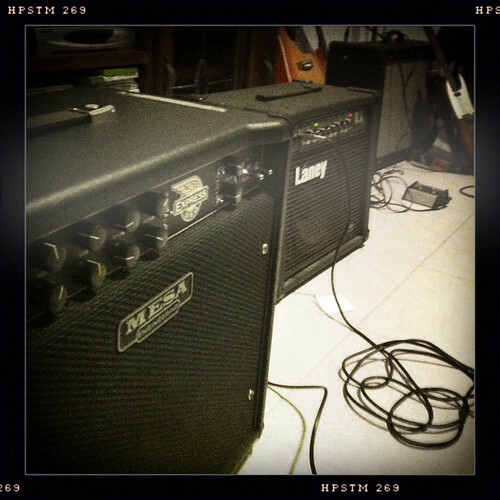 Last Friday night The Surfer and his mate got together for a jam with their guitars. Normally I am excluded from these get togethers. This time I was invited and I borrowed a friend’s microphone so I could be the singer. It was exhausting, but good fun although The Rolling Stones wrote a lot more songs than I ever imagined. I hardly know any of them.I mention this because that’s what my guitarists are really into. They work really well together taking it in turns with the lead guitar and rhythm and it was good to watch. 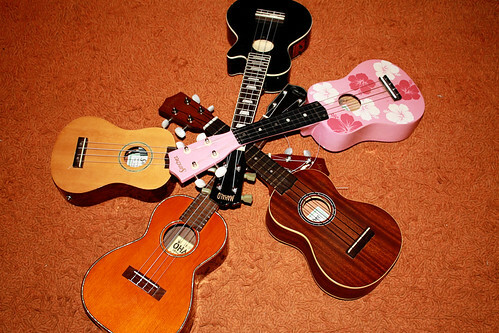 My ukulele even made a brief appearance. I just need to electrify it so I can join in. Woo hooo. We did do some other songs besides Rolling Stones, things they probably wouldn’t have done if I wasn’t there. We ‘jammed’ for four hours straight so by midnight I was completely knackered and ready for bed. We did arrange to go and see Tex Perkins and The Kill Devil Hills tonight though. Am really looking forward to that. Wednesday, 31 August 2011, Day 281/365. I like listening to music when I’m washing the dishes or cooking and this little contraption allows me to dock my iPhone and listen to music while in the kitchen. It also means that my offspring can watch tv in the next room. This little thing packs a reasonable punch. Obviously it’s not as good as my stereo but it does the trick. Friday, 19 August 2011, Day 269/365. 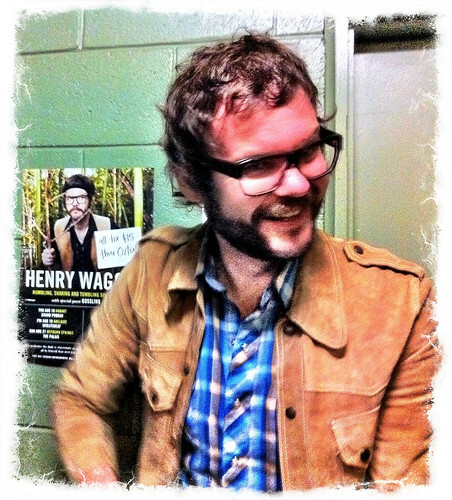 This man – Henry Wagons – and his band are heading off to the USA and Canada soon. I recommend going to see them. Last Friday night was the second time I’ve seen Henry Wagons (solo) and I loved it. When we arrived I had to get out my credit card to prove I’d bought tickets. I also wanted to get out my camera because Henry was at the desk. I put my just purchased chocolate stout on the desk and was immediately told off because I’d just put it on his merchandise – a tea towel. I don’t think he told me off, but my girlfriend did. I was mortified. Of course it left a teeny little stain. I asked if he still minded if I took a photo and he was very gracious and allowed me to. See above. I felt a wee bit guilty about not buying the stained tea towel and probably would have bought it on the way out but someone else had. It was a great show because there weren’t heaps of people crowding us and we had a very good view. I’m so glad I went. He’s a great entertainer and aside from the music, the inter-song chat was excellent.